There’s a great write-up of our recent Santa Ride on our Facebook page, with lots of pictures. You can read it here. And Ian McClelland (Ian McClelland Photography) passed on a couple of great photos, below. Many thanks, Ian. 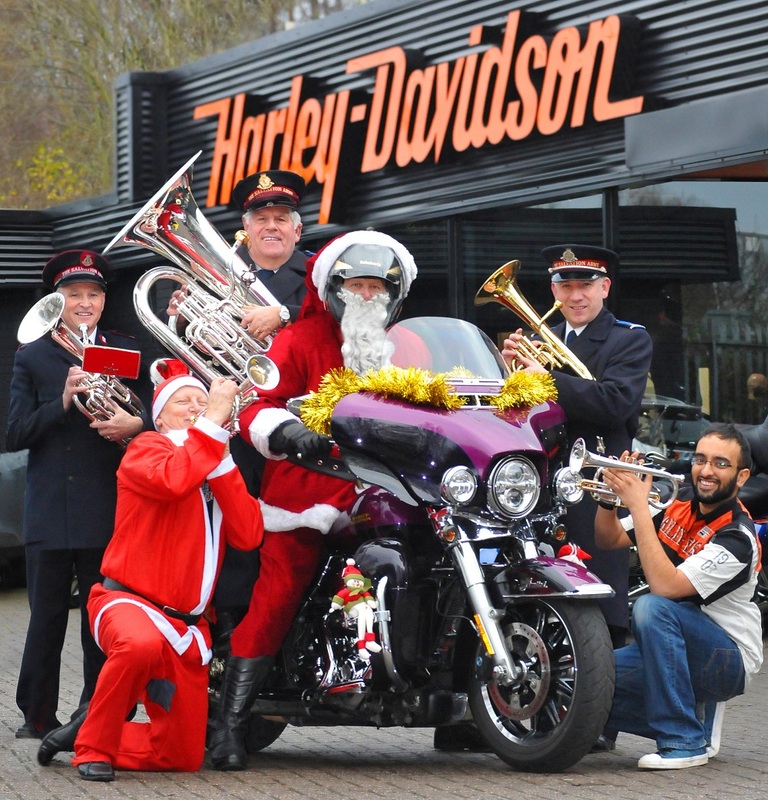 Salvation Army members Eric Pearce, Eric Mercer and Brian Mercer with Barry Gillespie, Geordie Chapter Director, and Sohail Khan, Director of Jennings Harley-Davidson Gateshead, after our annual Santa Ride to the Royal Victoria Infirmary. Thanks to Santa Greg for looking very festive too! Dawn Bell, teaching assistant at Gibside School is presented with a cheque for £2,000.00, part of a total of £4,000.00 raised by Geordie Chapter. 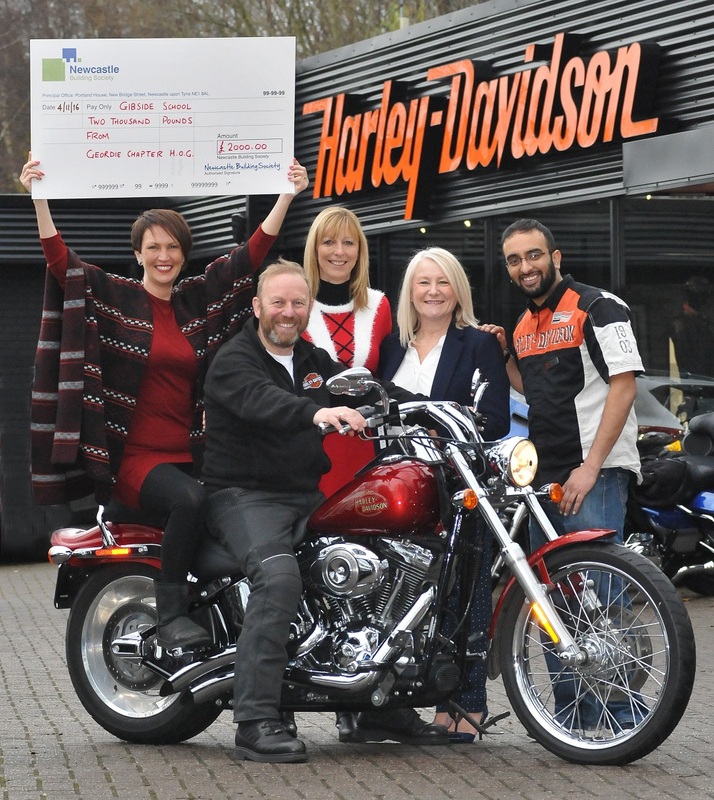 Dawn is joined by (L-R) Paul McPherson, Ladies of Harley Officer Trish Gillespie, Lesley McPherson and Director of Jennings Harley-Davidson Gateshead Sohail Khan. It was a fantastic day, with much better weather than last year, and I’m very proud of Geordie Chapter for their generosity at this time of year. Well done to everyone who took part.